This is the key yantra to personal good fortune. Coupled with solid financial sense and a lack of fear of working hard, worshipping and chanting the mantra for this yantra is highly likely to bring you tangible rewards and personal advancement in life. It is well-known that Kubera is the celestial banker: He presides over resources in general, and the ancient scriptures encourage His sadhana for the attainment of artha (material well-being or affluence). On the other hand, Lakshmi is the mistress of abundance and plenty. As wife of Lord Vishnu Himself, it is the wealth She stands for that He uses for srishti (creation). The Lakshmi yantra, worshipped with due devotion and combined with honest life efforts, is said to fulfill all of one's desires and and bestow ashta riddhi and nav siddhi. 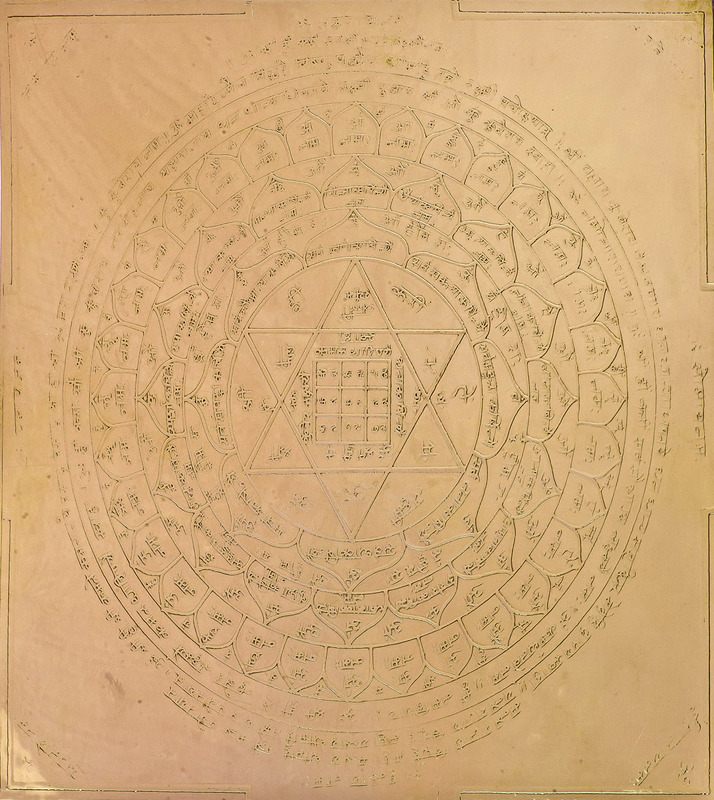 The Lakshmi-Kubera yantra together form a large, convoluted network of triangles and lotus petals each section of which is embossed with substantial mantras.